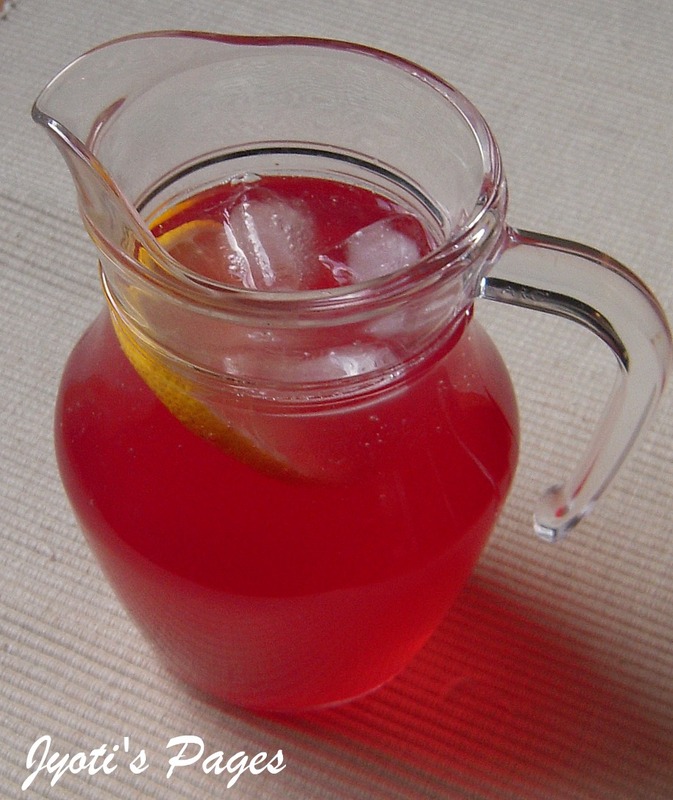 Jyoti's Pages: Blog Hop Wednesdays 1 ~ Cranberry Lemonade ~ From RedSpice! Blog Hop Wednesdays 1 ~ Cranberry Lemonade ~ From RedSpice! 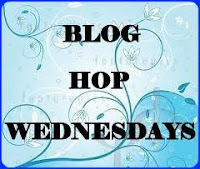 Come Wednesday and here is my first entry to the brand new event, Blog Hop Wednesday started by Radhika. This week I am paired with Madhusmita of Redspice and I have tried this Cranberry Lemonade from her blog. I loved her space and really liked the way she gives the background information about all the dishes she posts. As it is evident from this my previous post, I love lemonade. Unlike, my blueberry lemonade this is much quicker as one doesnot have to prepare the syrup. Of course, if you wish you can using fresh cranberries. Infact, it is already in my to-make list when these berries are in season. Only thing I tweaked was I did not use frozen lemonade for making it. Instead I made the lemonade myself. A slice of lemon to decorate and ice cubes. 1. Stir in the sugar in the water and let it dissolve (I didn't go for heating it). 3. Before serving add the cranberry juice and stir well. Add the lemon slice and ice cubes. Simply awesome presentation. a refreshing drink indeed. Nice clicks and presentation. Refreshing drink..
awesome.. So summery ! You take the most wonderful pics..
Nice, refreshing and cool drink. 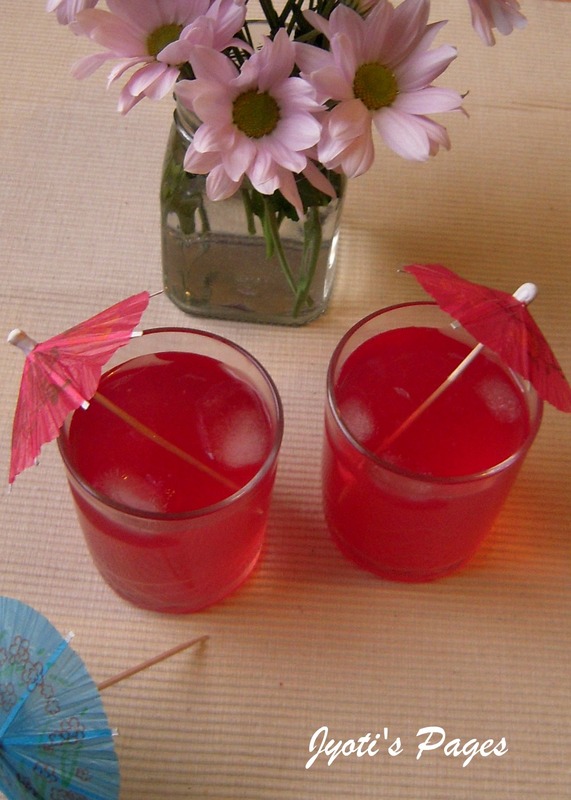 A refereshing drink. Liked the color and pics. OMG! I am feeling thirsty really! This looks awesome. Can I get a glass of the yummy lemonade. 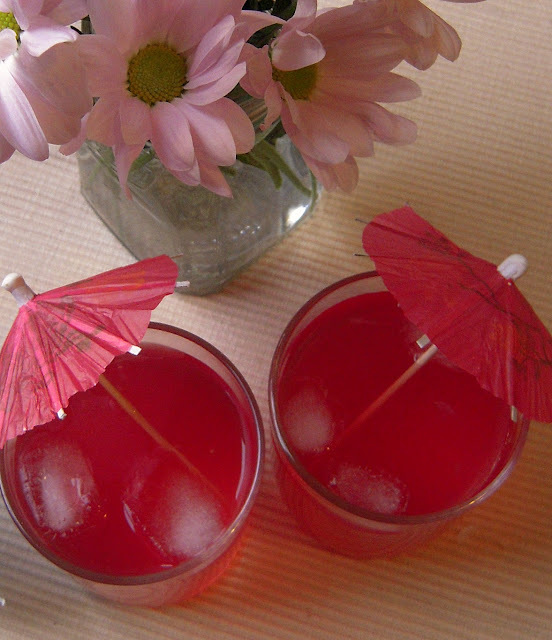 Refreshing drink. Totally refreshing! !...awsum clicks..with refreshing colors.. Wow!!! What a Color!! So refreshing!!!! !